Ah, December. The wind bites a bit harder, our fireplaces burn brighter, and our spirits? Well, they’re probably full of cheer. This month is special for many reasons; the holiday season is here, in a few weeks it will officially be winter, we’re almost done with the year, and we have our first and last supermoon of 2017. The supermoon is when the moon is full or new, when it’s closest to the earth (also known as its perigee). December’s Full Cold Moon — occurring this Sunday, December 3rd at 10:46 a.m. EST — is illuminating your love life, asking you what you desire. The full moon is the energetic climax of the month, when the energy is more intense and when we’re more plugged into the universe. Add to this the fact that a supermoon appears 14% larger and 30% brighter, and you’ve got some extra strong vibes. The full moon highlights our emotional nature, and the heart is no exception. This month’s full moon is in the communicative air sign of Gemini. Gemini is bold, bright, eccentric, original, and dreamy. Gemini crave sharing their vision, and their airy temperament means they can get caught up in fantasy if they’re not careful. Gemini’s symbol is the twins, which not only represents its dualistic nature, but also the craving for a partner and like-minded soul to meet in kinship. This vibrant energy is matched by the bright intensity of the sun, which is in fire sign Sagittarius, the archer. This is a visionary sign, one that asks us to take risks and see the bigger picture. Together with Gemini, we have a match made in goal-setting and future-tripping heaven. This full moon, we have a chance to claim what we want in our love life, all while the moon is illuminating our dreams. "For the next two weeks that follow, the missing piece to your partnership puzzle could manifest. Gemini’s energy is often more platonic than romantic, but that’s not to say that love can’t spring forth from the friend zone…hey, you just never know! A mistletoe moment could spark with a coworker, bandmate or even a partner on an important project. You could think of your 'other half' as your playmate — or revamp your dating app profile to reveal as much about your extracurricular interests as your long-term life plans." Thanks to talkative Gemini, this full moon is asking you to communicate and share your truth. Are you and your partner on the same page? What’s your vision for your relationship? How about theirs? Taking time to sit down and talk from a place of consciousness, both for your needs and your partner’s, can be a game-changer. Perhaps you wish to sit down, alone, and think about what you want beforehand. Make this an enjoyable and relaxing process; have some tea or coffee (or wine! ), play some good music, and feel what it is your heart and soul crave. Have your partner do the same if you can. When you sit down to talk, create a sacred container to share in; recognize that you’re honoring each other’s needs and that you want to move forward purposefully and effortlessly. Maybe you wish to burn some palo santo, sweetgrass, or sage, put on your favorite record, sit outside — do what feels right for you. Then get to sharing. Let the full moon’s light guide you to the deepest parts of your soul, and share with your partner what this piece of you is craving. Then do something you both enjoy, basking in the romance of the full moon’s glow. You can also set intentions for your relationship for 2018, revisiting these on each full moon over the next 12 months. Pay attention to any feelings or ideas that come up at this time as well. The full moon has a way of pulling things to the surface, and sometimes this can be surprising. If this full moon starts to create a divide between you and your partner, make an effort to communicate and talk it out. Don’t make any big decisions. Instead, be honest about your wants, needs, and wishes. This full moon is all about being honest about what you want, speaking into creation, and using the passion and expansion of the archer to draw it in. If you’re single, or not dating very seriously, you have the perfect opportunity for calling in your beloved, a hot hookup buddy, or whatever else your heart desires. Gemini is asking you to vocalize your desires and focus on what qualities you want in your partner. The full moon is a time for manifesting, and we have the power of the supermoon to back this up even more. You can work with this energy by being intentional about what you’re drawing in. Create a Pinterest board of couples you admire, spend time free writing, meditate, take a bath, treat yourself how you want a partner to treat you, and listen to your body. 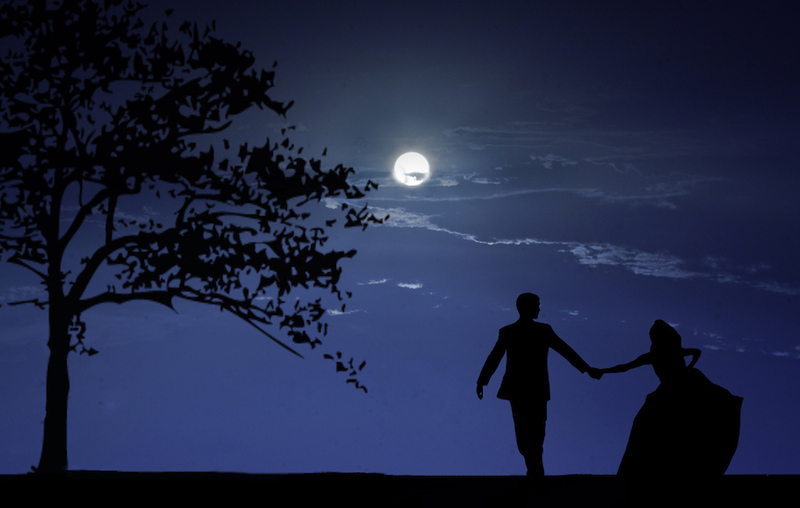 You can make a list of the qualities you want your partner to have, sitting under the moon’s light while you do so. Read each of these out loud (Gemini’s domain), and then light the list on fire (Sagittarius’s domain), placing it in a fireproof bowl as an offering to the universe. Hold these qualities in your heart, working with rose quartz if it’s available, all while knowing that what you call in is coming. You may feel the full moon tugging at your heartstrings, asking what you yearn for. Instead of running from this, channel the bravery of the archer and the partnering of the twins to recognize what it is you’re in search of. No matter if you’re single or happily in relationship — may this full moon shine her light and recharge your heart and soul.